Sorry, I have some bad news. If you thought that once you’ve won a deal and brought a new customer on-board your software-as-a-service (SaaS) solution, and you’re all done…sorry. Winning a new customer is just the start; now you need to keep that customer. This requirement to hold on to customers gives marketers a new job, one they didn’t have before SaaS: marketing to existing customers. True confession: When I worked for companies marketing traditional licensed software, I only thought about existing customers on two occasions: when I needed a customer reference or when I saw them at the annual user conference. But for SaaS companies, things are different. It’s essential to remind existing customers why they’re paying for your solution. Show them how much they’re using it to hire new employees, deliver training courses, handle expense reports, send out email newsletters, or whatever it is you do for your customers. I get a regular reminder from Carbonite about how many files they’ve backed up. That is definitely not something I would pay attention to otherwise. Even better if you take an extra step and help your customers get more value from the solution. Show them how to do what they’re doing better. Share tips & tricks, expert advice, and best practices. Let them know about enhancements you’ve made to the solution and show them how to use them. If your solution is used primarily by one person in the organization, for example an HR professional, a project manager, or an accounts payable manager, be on the lookout for a sharp drop in activity. If nobody’s logging in, there’s a problem. It’s worthwhile finding out if perhaps there’s a new person in the role that might need training. One last bit of advice. Stay in contact regularly with your customers. Nothing quite says “I really don’t care about you” than reaching out to them for the first time two days before the subscription expires. There's a reason lots of SaaS companies offer free trials. Done well, they work. They can attract paying customers to software-as-a-service (SaaS) solutions. There’s nothing about a free trial that magically converts a free trialer into a paying customer. Getting prospects through that journey isn’t easy… meaning there are lot of ways that free trials can go wrong. A few tactics could help. Focus on key tasks: When a prospective customer signs up for a free trial, guide them to complete 2 or 3 key tasks. This should be enough to give them an idea of what the solution does and how to use it. For most customers, that’s sufficient. They don’t need, or have time, to go through every single feature in the product. Quickly show value: Guide free trialers quickly to features that will “wow” them. Don’t force them to jump through hoops before they can see how the solution can be helpful to them. Don’t require too much set-up work: Give the prospective customer a head-start. For example, include sample data if possible so there’s no need to enter lots of data just to get started. Starting them off with a blank page can be very intimidating. Show it’s easy to use: In talking with many free trialers, I’ve learned that most of them just want to see if the solution is easy to learn and use. They don’t need to see all the features. They just want to know that it’s something they’ll be comfortable and productive using. Besides a free trial, keep in mind that there are other ways to let prospects see your solution. Sometimes it’s better to offer something different or alongside the free trial. A no-obligation/no commitment subscription lets the customer pays for the solution, but they can cancel at any time. If they’re not using it, they stop paying. A money-back guarantee goes even further. If the customer is unhappy after a month or some other designated time period, you send them their money back. Both of these approaches give the customer the peace of mind to know they won’t be stuck with something they don’t use. I’m not opposed to free trials. I’ve seen them work very well at attracting prospects and paying customers, but only when they’re done well. Otherwise, you’ll find you’re wasting your time and losing business. If you’re marketing and selling a software-as-a-service (SaaS) solution, feel free to ring a bell or do whatever it is you do when you win a new deal. That’s vital information that can help you market and win even more new customers. But you do need to ask them. How? Or you could ask your Sales people. After all, they’ve been intimately involved in the process with the prospect. Another approach is to simply talk to small sample of new customers. Even short conversations with a handful of customers can be useful. These can be especially revealing if they’re conducted as conversations, not surveys. Tee up a few questions (like the ones suggested earlier) and follow wherever the customer takes you. Though the handful of interviews from an individual month represent only a small sample size, over the course of a year these should yield valid information. You’ll gather insights that can help craft effective marketing messages and structure marketing programs that really reach prospects. Worried about bothering new customers? In my experience, most customers are happy to talk for a few minutes and share their thoughts. In fact, they’re often delighted to know that their new vendor actually cares what they think. When you win a new customer, go ahead and celebrate. But don’t miss out on the useful information you can gather from them. You’re talking with a prospective customer that’s struggling with a broken, outdated system, something they’ve been using for a long time to handle some vital task. The prospect knows it’s a poor system and they know it’s hurting their organization. And you’ve shown them your wonderful SaaS solution, they can see how it would be a huge improvement, and… they still don’t buy. You’d once listed these prospects as “highly qualified” or “ready to buy,” but then they go dormant. No response to calls, no answers to emails… just radio silence. It could just be fear. Your once-hot prospect got cold feet. Up until the moment of truth - a decision to OK the purchase - everything had gone exactly as scripted. Your prospect recognized the flaws in their existing system and they clearly saw the benefits and advantages of your superior alternative. But then things hit a roadblock. The prospect is worried about getting from here to there. Moving from their existing system to your new system is fraught with peril. Lots can go wrong with the transition. Inputting data can be difficult and time-consuming. Data can get lost in the transition. Standard reports might not get prepared. Normal workflows might be interrupted. There may be a gap when neither system is available. None of this would be good news for your customer. The HR manager doesn’t want to hear from employees that they can’t request vacation days or complete a performance review. The Finance manager doesn’t want to hear complaints that expense reports can’t be submitted or vendors can’t get paid. The Sales exec doesn’t want to hear that account reps can’t see their pipeline or track progress on their opportunities. The warehouse manager doesn’t want to find out that it’s impossible to accurately track inventory. These folks don’t have the time, the patience, or the thick skin to deal with the complaints and push-back if the move to a new system goes wrong. No matter how poor their existing system, and no matter how wonderful the promise of your new system, if the customer can’t see themselves getting from the old to the new flawlessly, they might not take the risk. They’ll stick with what they’ve got and what they know, warts and all. Getting them over that fear doesn’t mean showing them yet more features and functions in your system. It doesn’t mean pointing out again the costs of their existing system or showing them the extraordinary ROI on your system. And it has nothing to do with offering a lower price. Instead, it’s about showing prospective customers that your experts will guide them through a proven, well-structured implementation. They need to be convinced them that they can rely on you to help them navigate the transition to your new system. Until prospects trust that you can help them get from where they are now to where they want to be – without things breaking along the way – they’ll hold off on making a decision. They won’t buy. Partnerships can be a good thing for software-as-a-service (SaaS) companies. They can deliver more value to customers, without requiring lots more work from your internal development team. For marketers, a partner could provide credibility, broaden exposure, find leads, and even win deals. That’s if they’re done well. Too often though, partnerships don’t deliver as promised. The only thing the company gets from it is a press announcement and a logo for the website. No visibility, no leads, no customers. This is especially true when it’s a smaller company partnering with a larger company. Think partnerships with IBM, salesforce.com, or Oracle. Sure, these large companies run well-managed partner programs that offer a full menu of joint marketing opportunities. These programs have attracted thousands of partners. And that’s the problem for small companies. Among the thousands of partners, it’s very tough to get attention. When you’re just one small vendor among thousands, their marketing folks can’t afford to spend much time with you. And their sales folks may not pay much attention either. I don’t mean to say that all partnerships are useless and not worth pursuing. Done well, in fact, they can be very useful. To work well, your smaller company needs to actively market itself to the larger partner. A signed agreement won’t work all by itself. Make it crystal clear to the partner who your product is for. When they’re pursuing an opportunity, it should be easy for them to recognize when they should bring your solution into the discussion. Distinguish your product from alternatives. It should be obvious why they should pitch yours and not someone else’s. Be available as an expert to support the sale. The partner should be able to rely on you to provide specialized expertise, understand the prospect’s business, and speak their language. Make it easy to sell your product. The partner wants to know that your solution can help them sell more of their own product. Don’t get in the way of that goal. Think about it. If one of the partner’s sales executives is working with a prospect, their number one goal is to win the account. If they need to reach into the portfolio of thousands of partners’ solutions to help them win, you want to be sure they reach for your solution, not somebody else’s. They should have full confidence that by bringing you into the opportunity, they’ll have a much better chance of winning the business. I don’t mean to rain on anyone’s parade here. Partnerships do have the potential to be helpful to smaller companies. But recognize that a signed partnership agreement doesn’t work all by itself. The signatures and the press announcement are really just the start of the process. To be effective, companies need to actively market themselves to the partner. Along with other prospects, the partners are another important target audience that needs care and attention. Churn is bad for software-as-a-service (SaaS) companies. Very bad. But knowing there’s a churn problem is one thing; fixing it is something else. To bring down churn, we need to understand what’s behind the numbers. Why are customers leaving? Different causes will point toward different fixes. Sometimes the solution simply doesn’t deliver as advertised. Customers subscribe, believing it will perform some particular function… but it doesn’t. Once they figure that out – it may take a few hours or a few months – they leave. The solution for this problem: go back to the drawing board with the solution. Learn where the gap is between what customers want and what the solution delivers. Improve it to better meet customers’ needs, or explain the solution’s features, benefits, and advantages more accurately. If most of the churn is in the first 90 days after a customer subscribes, the problem may be poor on-boarding. Entering data, training users, and changing the way an organization does things isn’t easy. To fix poor on-boarding usually requires putting more thought and more resources to implementation and training. In fact, it’s not uncommon for SaaS providers to require that customers sign up for training and implementation help. And often they charge for it. SaaS companies cannot afford to ignore their customers. Especially for more complex, enterprise applications - those that are critical to the customer’s operations - quick and expert support is essential. Sometimes high churn happens when SaaS providers sell to the wrong customers. Superb salesmanship, yes. Good fit for the customer, no. Expect that the customer will discover the mismatch after a few weeks or months. I’ve seen this happen when sales people convince a small customer that the product is a good fit for their needs, but it turns out to be overkill. I’ve also seen the opposite. Salespeople tout capabilities required to win a large customer, but the solution’s actual features come up short. Remedies for over-selling could involve clarifying the messages to more clearly describe what the solution does and who it is designed for. A revised compensation scheme can also work as a remedy for over-selling. Salespeople are rewarded for winning customers that stay for a long time, and they’re penalized for bringing in customers that churn quickly. In some cases, customers depart for competitors. They are lured away with more features, more attractive pricing, or some other advantage. SaaS companies are especially susceptible when switching costs are low. Customers can easily move to another solution without painful implementation and training costs. One approach to counter poaching is to lower prices, though that’s a tough strategy to sustain. Adding more useful features, delivering a solution that’s easier to use, or providing outstanding customer support are likely to build a more sustained relationship. Any SaaS vendor with a churn problem needs to fix it. The business model doesn’t work when too many paying customers leave too quickly. In fact, the most successful SaaS companies actually achieve “negative churn,” meaning they actually derive more revenue from their existing customers. But fixing a churn problem first means diagnosing the cause. I haven’t provided an exhaustive list, but it should be plain that there are a variety of explanations behind the numbers. And each particular cause points toward a different solution. Sorry, there’s no simple “one-size-fits-all” approach here. Have your prospects gone missing, or just hibernating? 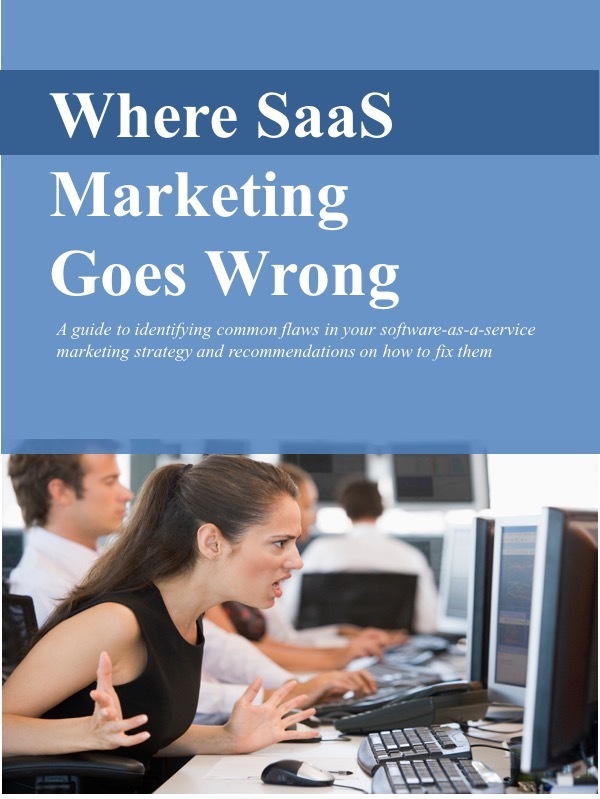 Here’s a sorry fact: most of your prospective customers won’t end up buying your software-as-a-service (SaaS) solution. Lots of folks who should buy it, won’t buy it. They have problem you can solve. But instead of fixing it, they’ll stick with the poor system they already have. Others won’t buy your solution because they’ve never heard of you. Or they’ve found another option that fits their needs, and they feel there’s no need to look any further. There are even some prospects that do know you and they do see that your solution would help them… but they just won’t get around to buying. These people have visited your website, opened your emails, read your white papers, sat through a demo, even talked with your sales people about pricing. They’ve been in your pipeline for 90 days, 180 days, maybe a full year, but they’ve still not converted into paying customers. You might figure that these prospects have gone missing. Despite all you’ve been through with them, no way, no how will they ever buy. But you may be wrong about that. Perhaps they’re not truly gone; they’re just hibernating. Which is to say that with a bit of effort, some of them can be revived. At some point, whatever it is that prompted them to look at your solution in the first place may make its way to the top of their to-do list once again. Your job as marketers is to be sure that you and your solution are still in front of that prospect when that time comes. When they get around to focusing again on the problem, and they start to think about a solution, you want to be top-of-mind. Even better, you can do your part to push your solution higher up on the priorities list. Make it clear to the prospect that the problem they’re living with deserves urgent attention and there’s a cost to ignoring it or pushing it to the back-burner. Of course, you want to be careful about the costs of these efforts to revive hibernating prospects. Using sales professionals to stay in touch can be expensive. But offering them educational papers, inviting them to webinars, or showing them customer success stories can keep you on the prospect’s radar screen. And the cost of keeping them on an email list is very low. These communications should provide an easy way for the prospects to tell you they’re ready to re-engage. And of course, you should also offer them an easy way to unsubscribe if they’re truly done with you. Bottom line: Don’t assume that prospects that you’ve not heard from in weeks, even months have gone completely cold. They may just need a bit of attention and some heat to warm them up. Lots of people who you think should be interested in your software-as-a-service (SaaS) solution, couldn’t care less. It doesn’t matter that they perfectly fit your “ideal customer” persona. It doesn’t matter that your solution is full of features built especially for them. It doesn’t even matter that you’re sure it’ll be a huge help to their business. Despite all that, they’ll still ignore you. They don’t care about your features, your user interface, your expert training and support, your attractive price, or anything else you’re just dying to show them. At least they’re not interested yet. Before prospective customers will pay any attention at all to your solution, they first need to recognize that they have a problem. So first it’s your job to show them that problem. You need to make them see that the way they’re doing something right now is the wrong way. The tool or process they’re using is hurting their organization. It’s losing them good candidates. It’s keeping them from control. It’s blinding them to opportunities. In fact, you not only need to show them that there’s a problem. You need to point out that it’s an urgent problem and it needs immediate attention. In other words, they’re always looking at a long list of problems to be dealt with. And only the two or three at the top of the list get any attention. If the problem you solve is way down on that list, the prospect just doesn’t have the time. When do we get to talk about our product? If I need to spend so much time talking about the prospects’ urgent problems, when do I get to talk about my wonderful product?! After all, when a prospective customer visits your website, watches your video, looks at your email, stops in your trade show booth, or picks up your phone call, all you’ve got is maybe a minute or two of their time. How much of that can you give to hearing about the prospect’s problems? My advice: give most of that time to talking about problems– maybe all of it. Because until the prospect recognizes that they have an urgent problem – until they’re nodding their head thinking “this is something I need to fix ASAP” – they won’t be paying attention to anything you’re saying about your solution. I know this may be heresy to almost every marketer and sales person on the planet, but I’ll just say it: it’s possible to have too many leads. Lots of the effort to generate new leads – those programs, events, campaigns and incentives we’ve got in place to build more visibility, drive more traffic, and gather more names - might just be a waste of time and money. One explanation: some of our lead generation efforts are attracting suspects, not prospects. The people who find their way to our website, visit our booth, or open our emails aren’t the people our solution is built for. They mistakenly think we can help them… but we can’t. Another source of waste: the leads get squandered. A prospective customer finds out about our solution, and they raise their hand to indicate they’re interested. But we respond in all the wrong ways. Sometimes, the prospect never hears from us. We’re so swamped with inbound inquiries, we can’t get back to them. Or we get back to them six weeks later, by which time they’ve forgotten why they ever contacted us. Almost as bad, the prospect hears back from us, but we say the wrong thing at the wrong time. Often, they’re just beginning their evaluation, gathering basic information, and looking to educate themselves, but we’re chasing them to do a demo and close a deal. In either case – whether we ignore them or say the wrong thing - the prospect goes away. If we describe our solution in techno-speak and blather on about “our unique, robust, industry-leading, real-time, AI-enabled, something, something platform,” it’s no wonder that the wrong people find us. Even worse, if our message is unclear, not only do the wrong people find us, but the right people don’t. Those who really could use our solution won’t figure that out. It’s a double whammy: Bad leads find us, and good leads don’t. By fixating on collecting leads, leads, and more leads, we might overlook what happens next in the process. Once we’ve captured a lead, then what? When prospects evaluate most enterprise solutions, they move through several steps from lead to qualified prospect to paying customer. And for software-as-a-service (SaaS) solutions, there are renewal and retention steps too. We sign up a customer, but we don’t market to them to ensure they renew or buy more. We need to build a customer acquisition process that spans the entire journey. Generating leads is only the first step. No matter how long the list of amazing features you offer, if you’re marketing a software-as-a-service (SaaS) solution, that’s not all you’ve got to sell. You should be talking about the “non-feature” pieces as well. If not, you’re underselling your solution. Can the solution be implemented successfully? Will the implementation disrupt our business? Will sensitive data be protected? Will competent support be available to help us out when we get stuck? Of course, prospects need to see a certain level of functionality. You need to show that your solution has the features they need to handle the problem they’re trying to solve. But once you’ve cleared that bar, prospects tend to focus on other issues. Why do those other issues matter? Because prospects know there’s a difference between the demo and real life. In the demo, prospects will usually recognize that your solution is far better than the one they’re living with now. Once deployed, their lives will be easier. But they also know that getting from where they are now to what you’ve shown in the demo isn’t easy. Navigating that transition can be risky. The last thing the prospect – perhaps an HR manager, sales executive, or finance person - wants is to gobble up lots of hours importing data, training users, setting up a new system, and disrupting the normal course of business… especially if it really isn’t worth the hassle. That’s not a risk they’re willing to take. If your marketing efforts are only about touting features, features, and more features, you’re not addressing these other critical concerns. Talking incessantly about “our solution does this, and our solution does that” or begging a prospect to sit through yet another demo probably won’t help push them toward a purchase. Before they buy, prospects need to be satisfied that you can manage the “non-feature” issues. That means you need to discuss implementation, training, and support in your marketing material. You need to address their concerns about security, performance, and reliability. And you need to give prospects lots of opportunity to see that the solution is easy to use. You can show prospects the proven, well-structured process you follow in importing existing data. You can introduce them to the experts responsible for training and support. You can present them with the security protocols you follow. You can let them see proof of success through customer testimonials. All of this is required to address their “non-feature” concerns and reduce their risk of failure. The lower the risk, the more likely they are to buy.